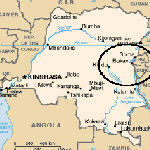 Humanitarian officials warn a crisis in eastern Congo's war-torn North Kivu Province is deepening with each passing day. A new eruption of fighting between rebels and the Congolese army has sent thousands of civilians streaming over mountain roads for the relative safety of the capital city, Goma. 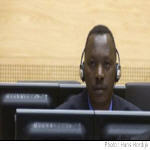 Should Lubanga Face Trial in DRC? His trial hasn't yet begun, but it is already possible that the International Criminal Court's sole detainee will return to the Democratic Republic of Congo, DRC, for at least part of the proceedings. 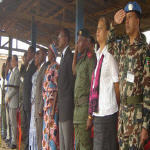 The Disarmament, Demobilization and Reintegration (DDR) phase III pilot project which began in Ituri district on 4 August 2007, officially ended on Monday 15 October 2007 in Bunia. The DRC Minister for Social Affairs who chaired the ceremony gave an additional 72 hours deadline extension for combatants still in the bush to disarm, and launched the community reconstruction project for Ituri. The quadripartite committee of experts examining supporting documents for the delimitation of the border between the Democratic Republic of Congo and Angola (where the Kahemba territory and the Angolan province of Lunda Norte adjoin each other) has finished its work. 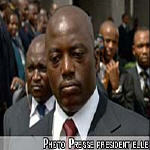 Renegade General Laurent Nkunda, a few days ago, called for a ceasefire in eastern Democratic Republic of Congo after breaking the truce a few days earlier. However, more fighting was reported in the region where clashes between government forces and soldiers loyal to a Nkunda have killed more than 100 people over the past week. The situation in eastern DRC, particularly in North Kivu, was marked by several confrontations in the last week, between the DRC Armed Forces (FARDC) and the troops of ex General Laurent Nkunda. 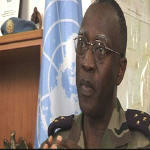 We interviewed MONUC force commander General Babacar Gaye who explained the situation on the ground, and the measures taken by MONUC to protect the population.